Our object this week continues our December holiday theme. Hall of Famer Robert Irwin started his career leading classes for blind students in the Cleveland public schools in 1909. 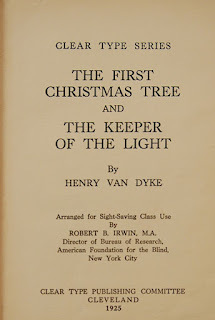 One of his many innovations was the creation of “conservation of vision” classes around 1913 for low vision students. 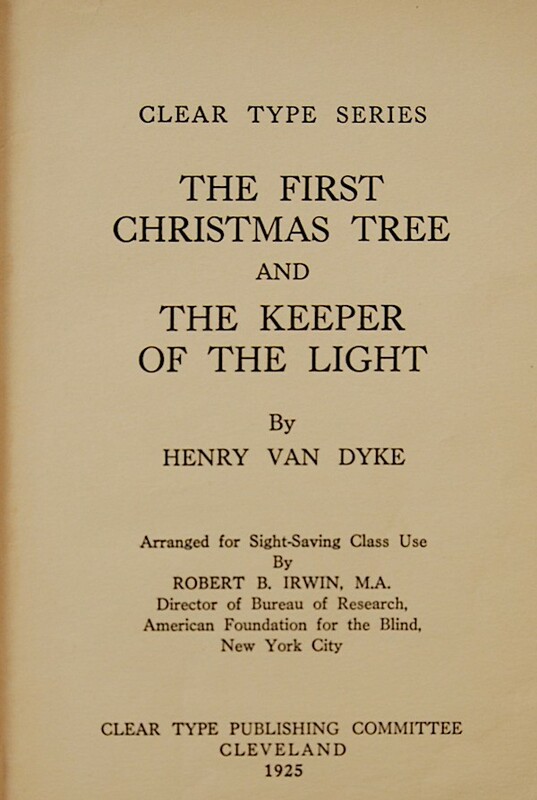 These later became known as “sight-saving” classrooms and to facilitate his work, Irwin founded a publishing company to print the large type books his students would need. 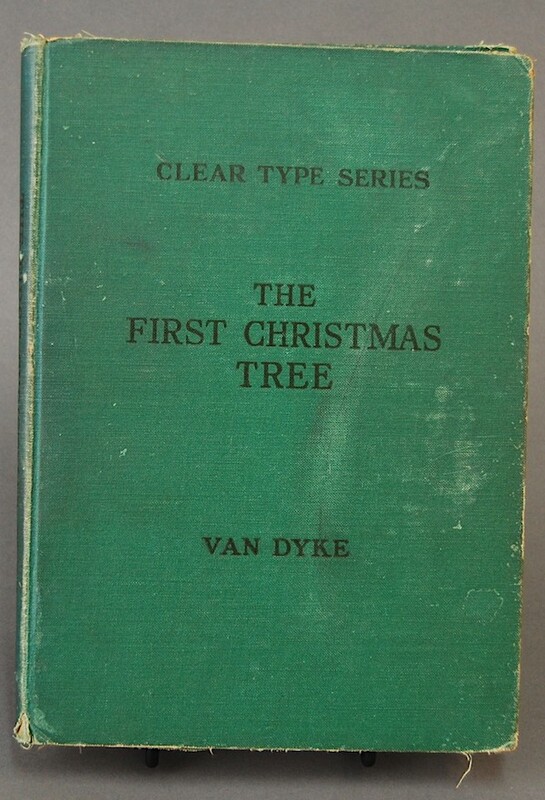 Our object is one of Irwin’s books from the Cleveland Clear Type Publishing Committee, “The First Christmas Tree,” from 1926. 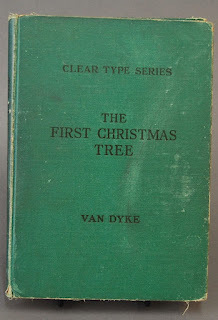 It was printed in a 30 point san serif font, with no illustrations. It is bound in a simple green linen. 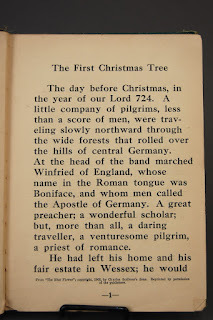 The story, by American religious writer Henry Van Dyke, revolves around a trip by the Christian missionary St. Boniface in the 8th century A.D. to tribes in Germany. Let’s just say that Marvel’s super hero Thor is the bad guy and leave it at that. But my favorite part is the State of Louisiana Free Textbook Form pasted inside the front cover. 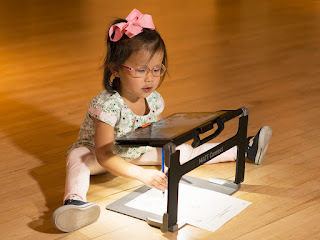 It required students to pledge to a “Good Citizenship Code,” including a promise to “arrange my books neatly in my desk” and “respect and take care of the Property of the State.” This example was donated to APH by Warren Figueiredo at the Louisiana School for the Visually Impaired. 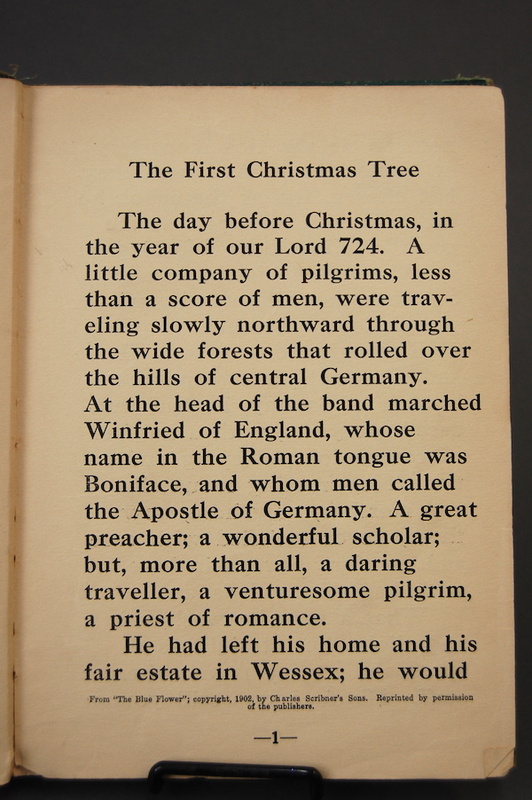 The first picture is a wide shot of the book; the second shows the title page while the third is an example of the book's text.